Alright. This is going to be my first “Recommended Buy” blog post here and I wanted it to carry a bold and daring statement. Like the Blaze Aluminum Kamado Grill for instance, which incidentally is still waiting for its patent approval from the United States Patent and Trademark Office (USPTO). 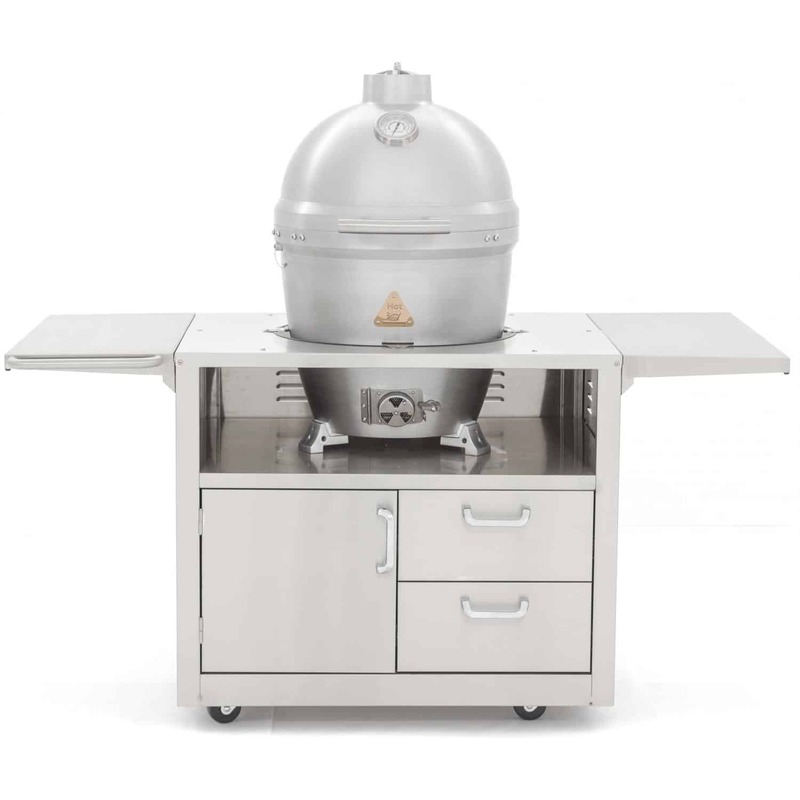 So I suppose this charcoal smoker is going to be a fresh introduction to the barbecue grill market much like this blog’s status is (soon to be published or published and is currently waiting for likes, comments and shares depending on how you see it). I often refer to it as “the rocket ship” because it looks very similar to the ones that I saw on Isaac Asimov’s sci-fi novels (the paper back cover mostly), especially if it has the side shelves on. 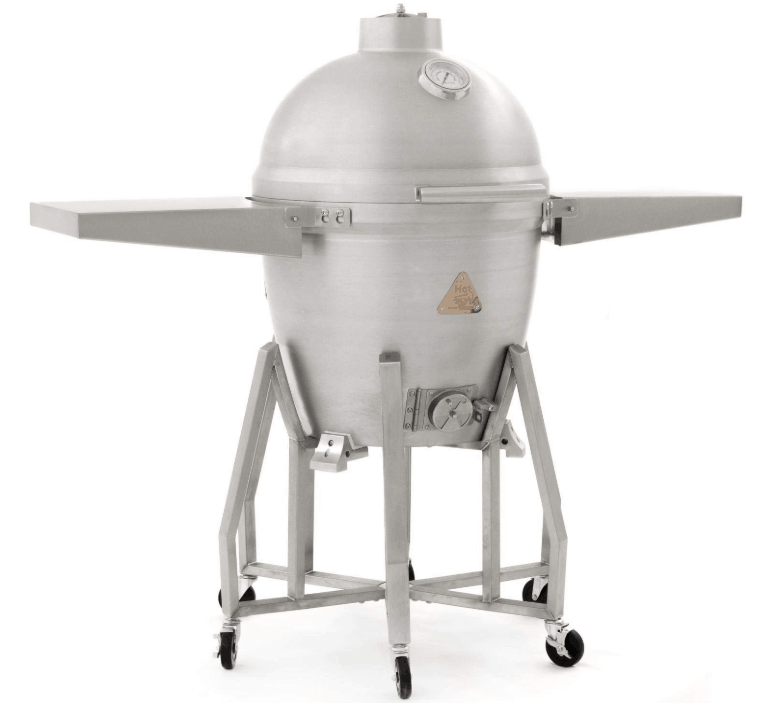 This is the first Kamado charcoal grill that Blaze Grills has produced and it is impressive. Blaze has built a reputation from high-end gas grill and from the looks of it, I think they’re going to shake up the charcoal market sometime soon. One advantage of owning a kamado that’s made from metal (high grade aluminum steel alloy for this particular grill) is that it doesn’t break, which speaks volumes about its durability. If you’re like me, who owned several ceramic kamado, then you’d know that they become brittle and break if a force impact was to hit them or if they hit the floor from a fall. Now that you can buy one that’s made of steel, that will no longer be a problem. 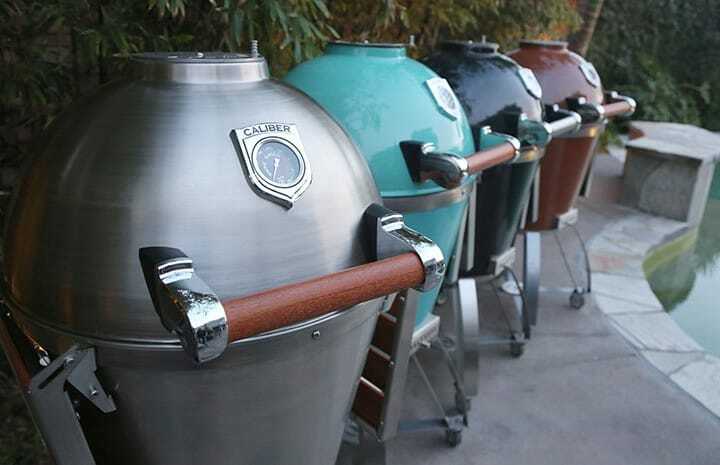 Kamado Shape – because it has the efficient kamado shape to its design, it has a very good heat retention and it’s highly durable also as the aluminum steel is roughly 1.25 inches thick! 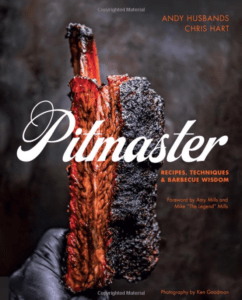 Hexagonal Grill Grates – you’ll get great char marks on the meat you’ll cook on this smoker and it’s almost artistic that gives pleasure both to the eyes and the taste. The 20” grates are hinged on both sides to make it easy to add charcoal. Tongue and Groove Seal – the old Blaze kamados has felt gaskets to serve as a seal, but it needs to be replaced regularly as it deteriorates from the heat. But the new Blaze Aluminum Kamado Grill has a new steel plated tongue and groove seal which makes maintenance better for this design. Stainless Steel Hinged Lid Assist – as you may know this Blaze Kamado is made from die cast aluminum steel alloy and although aluminum is 66% lighter than stainless steel having a huge chunk of it, even just for the lid, will be pretty difficult to lift. The hinged lid assist is a very nifty addition to the whole design as it understands the user and am particularly impressed by what Blaze did here. Exhaust Cap/Daisy Wheel and Bottom Heat Vent are well Designed – even though metal expands when it heats up, the exhaust cap and daisy wheel as well as the bottom vent stays in place to keep the whole grill sealed. The ash pan is also made of steel and can be removed for easy cleanup. The product also includes two different grates for two cooking heights plus a “pizza stone” which is actually a heat deflector. 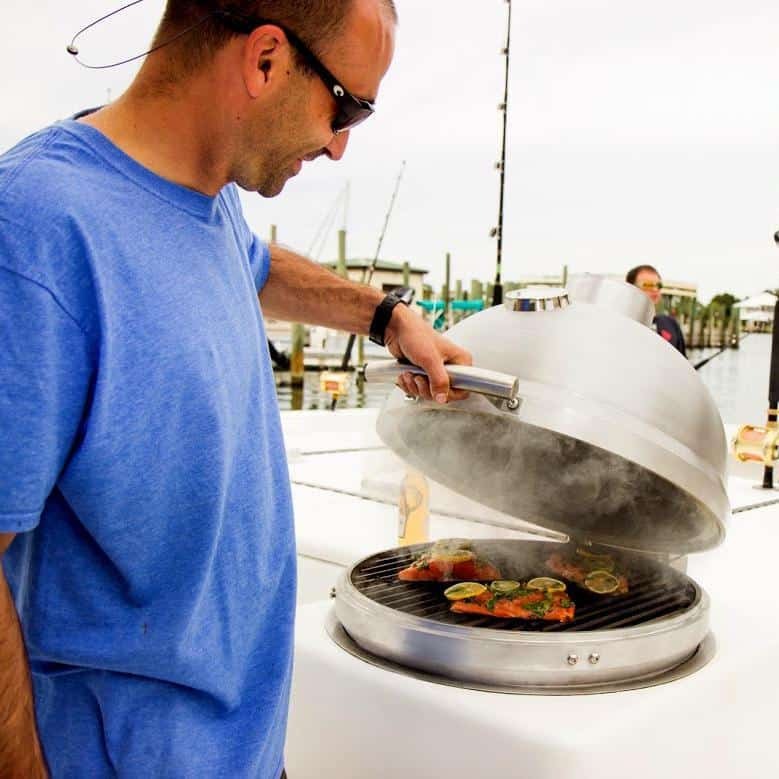 Lifetime warranty – even though the Blaze Aluminum Kamado Grill is designed to last, the manufacturer elected to put it under warranty to reassure the confidence of its customers. Another feature that I find interesting with the Blaze Aluminum Kamado Grill is its double set of grill grates (one on the upper level and one on the lower level). For high heat searing, you can use the lower grill grates and put your food (especially tough to cook meats) practically on top of the charcoal. For regular smoking, you can just place your food on the upper grill grates. The shelves on each side (plus the leg stand) gives the grill a rocket ship-like appearance similar to some of those noir sci-fi or steam punk graphic novels, comic books, animated films and live action movies. But the Blaze Aluminum Kamado Grill itself is the spectacle due to its aluminum steel alloy body which attracts a lot of eyes from my visitors. It’s the kind of “bling” that you don’t wear, but put on your lawn or patio for display and let people go crazy over it. So, we tested it on some beef jerky, baby back ribs, grilled lobster, barbecue chicken, pork steak and other dishes and it lived up to our expectations. I’m actually surprised! As I’m normally a skeptic but this isn’t the first time that I’ve been proven wrong. My initial thoughts on the Blaze Aluminum Kamado Grill was that it’s an overpriced fancy smoker grill, but it’s not only good for the eyes, but also for cooking delicious food as well. If you want to own the Blaze Aluminum Kamado Grill, then you’ll have to shell out over $2,000 (the shelves and rolling cart are sold separately). Yes, it is quite expensive but a worthy purchase as it is built to last and you’ll get a lifetime warranty for it too!